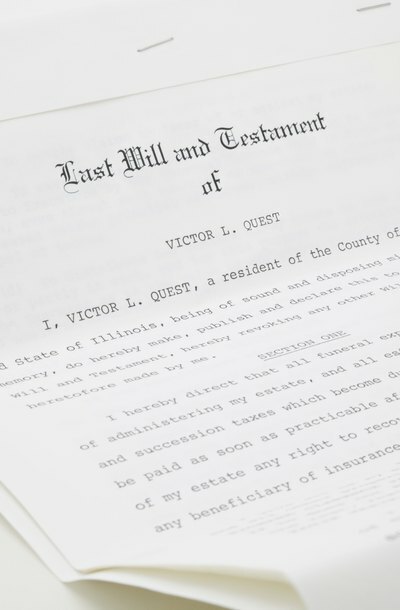 A valid will is the only way around the intestacy laws of Louisiana. While common requirements for executing a valid will, such as signing the document, as well as having competent witnesses do the same, are included in Louisiana law, there are a couple of differences. The person making the will, known as the “testator,” must not only sign at the end of the will, but also on every separate page of the will. Further, a properly worded “attestation clause” must be included, which declares that the will is indeed the full and true intent of the testator. Failure to incorporate any of these unique requirements in Louisiana will lead to a will being declared invalid. Of particular importance to the inheritance laws of Louisiana is the concept of community property. While a spouse can have separate property, such as an inheritance he himself received or property owned prior to a marriage, community property includes most of the property acquired by a couple during marriage. Community property is jointly owned by the spouses, and when one of them dies intestate, half of the community property is considered part of the deceased spouse’s estate. However, Louisiana law also incorporates a term known as “usufruct.” This means that the surviving spouse, although no longer the owner of that half of the community property, will retain the right to use and benefit from that community property until their death or remarriage. At that time the property will transfer to the original owner’s descendants – their children. Under Louisiana law, descendants – not the spouse – are the primary beneficiaries of a decedent’s estate. If someone is making a will in Louisiana with a mind to disinherit one of their children, there are certain restrictions. First, a child who is physically or mentally disabled may not be disinherited. Second, any child under age 24 cannot be disinherited without “just cause.” An attempt to do so will make that child a “forced heir,” which is a descendent who must receive a portion of the deceased’s estate, by law at least 25 percent. Louisiana law outlines several instances of just cause, including a child who has struck a parent or attempted to kill the parent, for example. The children of a person who died intestate and left a surviving spouse would receive equal shares of the estate, subject to the surviving spouse’s usufruct rights. The descendants of a decedent without a surviving spouse would take shares of the estate outright. If a decedent had no children, then his surviving spouse would inherit his half of the community property, while his siblings would inherit his separate property in equal shares.